Alan Barnes is a regular visitor to the North East. Here, he takes a look at the history of the Aln Valley Railway and its progress in extending one of Britain’s newest heritage lines, a project which has not had the easiest of starts. VERY little evidence remains of the railway lines which once served the town of Alnwick, in Northumberland, and headed north to the Scottish town of Coldstream and east to Alnmouth, and a link with the East Coast Main Line. 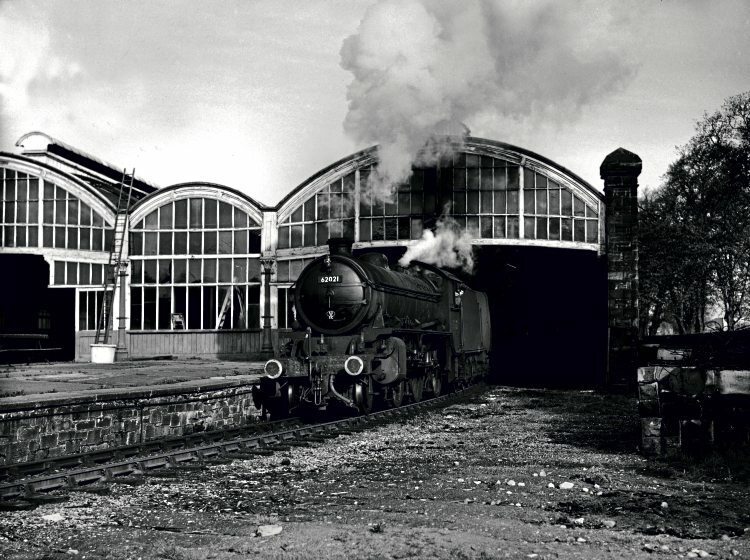 With many of the bridges on the line having been demolished, the trackbed being ploughed, and Alnwick station, now the home to Barter Books, the well-known second-hand bookshop, the restoration of any part of the line represents a serious challenge. ‘K1’ 2-6-0 No. 62021 leaving Alnwick station with a service to Alnmouth. Dave Dunn Collection. However, for the past few years the Aln Valley Railway Society has been engaged in the project to reopen a rail link between Alnwick and Alnmouth. With the old Alnwick station being virtually intact it is rather frustrating there is no possibility of it being incorporated into the restored railway because there is the small matter of the A1 dual carriageway and a missing bridge to take into account. I paid my first visit to the Aln Valley Railway (AVR) in February 2013, nearly a year after work had begun on what was essentially a grassy field on the outskirts of Alnwick. For a heritage railway which had no track, no station, no trains and no passenger coaches it seems remarkable that between July and September 2012 they received just over 2,000 visitors, no doubt intrigued to see the birth of a new railway. Since then I have returned to see the progress of the project on several occasions, usually in the company of my seven-year-old granddaughter, who has become something of an enthusiast for all things railway. In that time the site has been transformed with the construction of a station complex and platforms, footbridge, signalbox, a goods yard, loco shed and workshops. There is also a short section of operating track, with steam- and diesel-hauled passenger services being regularly run on weekends during the summer. The emphasis of the development work has been to create the new terminus at the ‘Lionheart’ site, which lies to the east of the town, next to the industrial park. 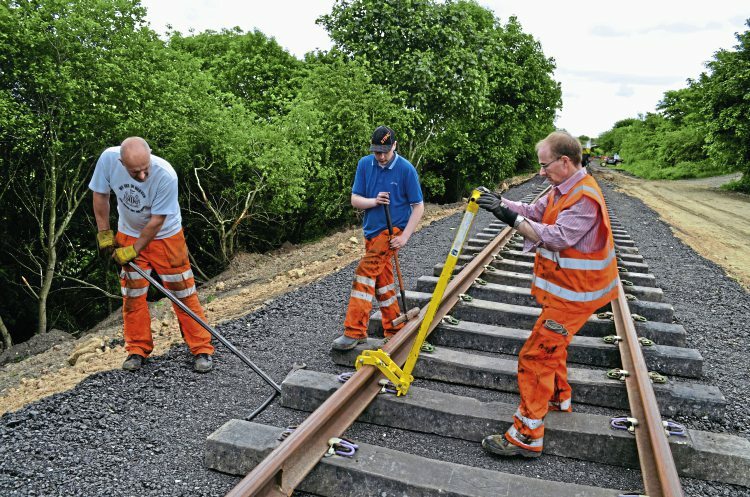 The tracks serving the station have been laid, and last year these were extended onto the original trackbed; the first trains using the new line at Christmas. Eventually the railway will be extended eastwards to its ultimate destination at Alnmouth. Here, a new platform will be built to serve as a connection with the main-line services that currently use Alnmouth station. From the new Lionheart station the line will run a mile or so before crossing a rather impressive stone-built viaduct; it is indeed fortunate this structure has not only survived but also remains in very good condition. From the surveys of the viaduct that have been completed it would seem very little in the way of major engineering work is required before the viaduct can be used.